“It’s a very dynamic image and sometimes you need two conservators to do a job and really good to see that they have two conservators!” One of the anonymous judge’s comments. We also want to give an honorable mention to second and third places, as competition was tight at the top and our judges also applauded these entries. 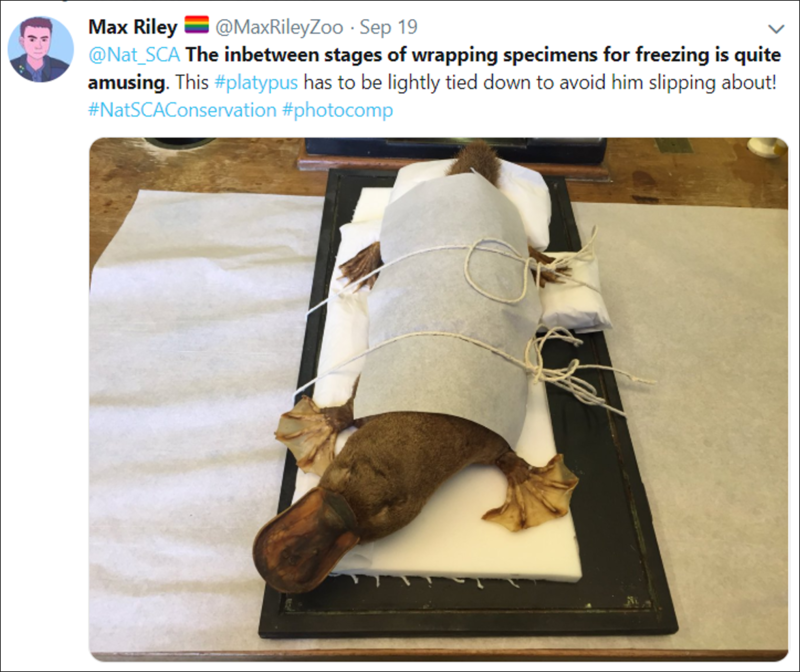 In second place came Max Riley, volunteer at the Cole Museum of Zoology (@ColeMuseum), with this well secured platypus mount being packed for freezing as part of the museum mass migration project. In second place was this platypus courtesy of Max Riley. © Cole Museum of Zoology. 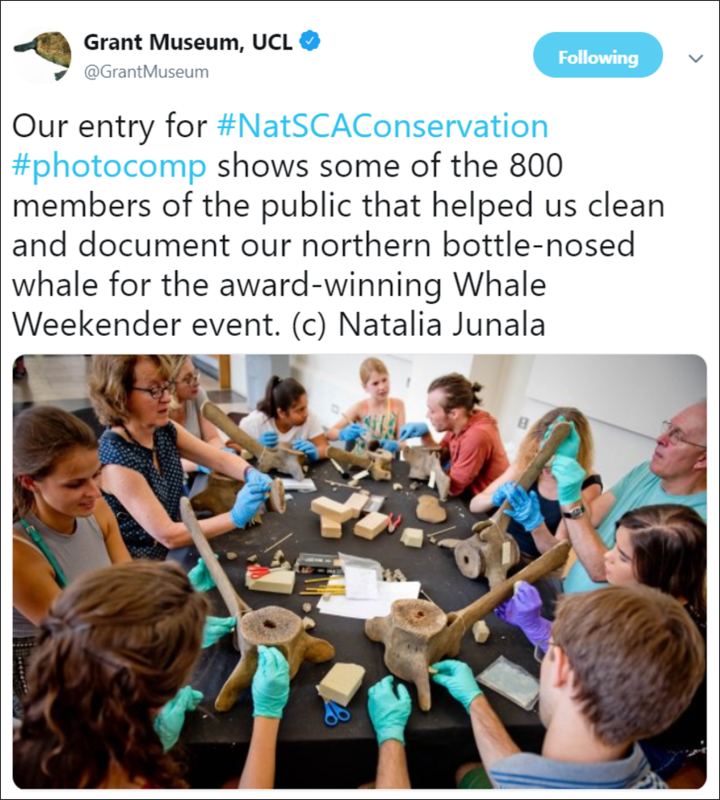 And in third place came the Grant Museum of Zoology at University College London (@GrantMuseum) with this conservation in action shot at the Whale Weekender event; winner of the Project on a Limited Budget at the Museums and Heritage Awards 2018. The Grant Museum of Zoology came in third with an image from Natalia. © Natalia Junala. 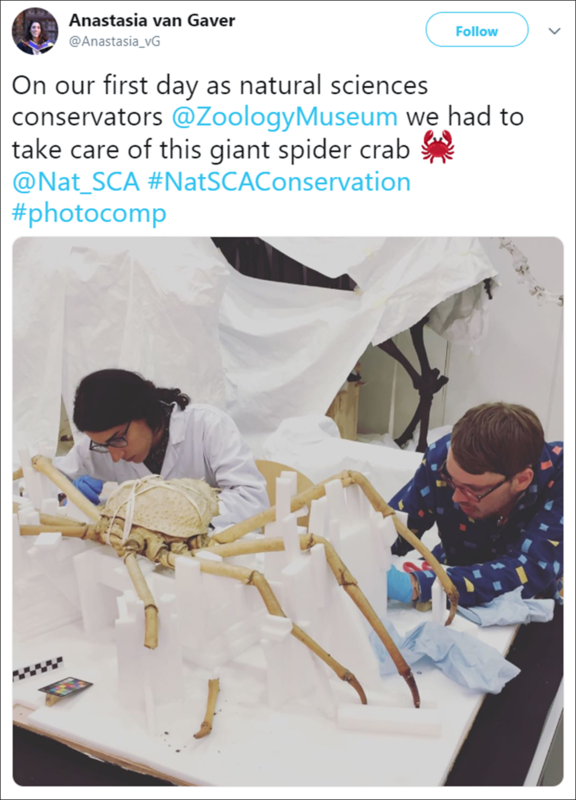 All in all, a big win for university museums! The photo competition was inspired by similar competitions ran by Icon (the Institute of Conservation) groups, in particular the Heritage Science group which this year was won by our own Nigel Larkin with his photograph using infrared thermal imaging.